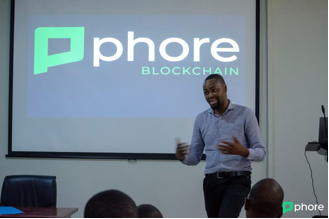 This report summarizes the events of the Phore Blockchain Conference which was held on March 23, 2019 at the Chartered Institute of Bankers of Nigeria’s Learning Centre (CIBN) Yaba, Lagos State, Nigeria. The central theme and purpose of the conference was to create an awareness for Phore Blockchain, its functionalities, features and practical use of these in the real world. 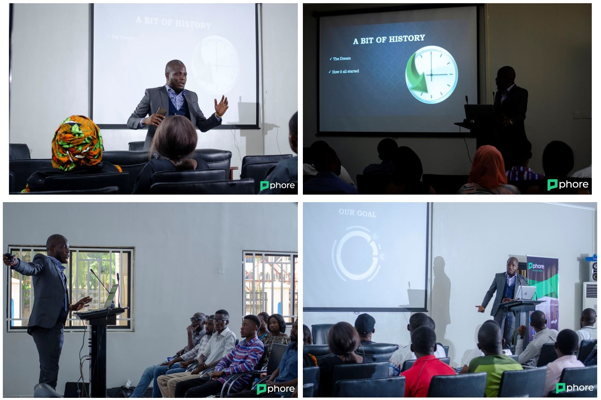 The event was attended by a mix of people who were traders, business owners, students and other professions, the central theme of the presentation was on the practical world use case of Phore by the chief speaker followed by a representation on the use/importance of cryptocurrency and the blockchain technology in businesses across Nigeria by two individual CEOs of cryptocurrency startup companies namely dashcart.app and chopdomot.com respectively. • Create awareness of the Phore Blockchain project, its ecosystem and practical use case of its features in the real world and showcase how these can be applicable to various sectors and businesses in the country. • Market the Phore cryptocurrency (PHR) as an alternate means of value and exchange and talk on the potentials of investing in Phore by buying PHR, trading or investing in Masternodes. • Market Phore flagship features such as the decentralize marketplace, crowdfunding, sharding technology and also talk about Phore’s key partnerships with UniFox, Platinum Circle, World Mobile etc., and to give an overview of the project’s solid road map. • To show how cryptocurrency and the blockchain technology can be integrated in businesses and other sectors and how that can greatly improve the efficiency in these sectors. The conference brought together a mix of people who were traders, business owners, students and other profession’s totaling to 71 attendees. Below is a chart showing the occupations of the total attendees at the conference. We plan on having more events like this and also plan on partnering with other cryptocurrency event organizers to feature Phore at their upcoming events, and discussions. Scheduling more activities to help achieve a wider exposure of the Phore Blockchain project in Nigeria remains our primary focus. With the feedback we gathered from the attendees we are positive that other upcoming events would be more promising as well. 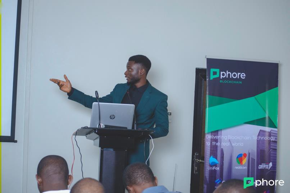 The Phore blockchain conference seems to be the first of its kind to take place in Lagos State, Nigeria, and probably even in Africa. Most populace are familiar with coins aside from Bitcoin, like Sash, Smartcash etc. which have managed to achieve a fair level of exposure in the country over time. As stated earlier we aim to secure more events and more for Phore Blockchain. This conference is just one of the first steps geared in that direction. Most merchants and business owners present at the event expressed their collective interests to implement Phore in their various businesses though this greatly depends on the availability of a Phore public API on coinpayments or a similar payment processor of some sort. We also showed them alternative ways they can receive and store PHR using the desktop wallet or mobile wallet. Also, the Phore Decentralized MarketPlace was another point of interest to the attendees as well who are looking forward to the full release and requested to be contacted once that is fully operational. The opening address was delivered by the chief speaker who welcomed the attendees and gave a walk through on the agenda for the day. 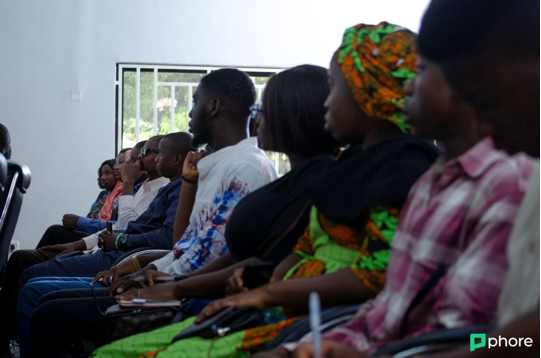 He then proceeded to deliver an introductory presentation on cryptocurrency and blockchain technology, explaining briefly concepts such as digital currency, blockchain and cryptography as the basic make up of cryptocurrency. He further explained how cryptocurrency transactions work and how every transaction is recorded on the blockchain and can’t be manipulated also citing the decentralized and distributed design of the blockchain as against the centralized and concealed nature of the Fiat system. The rationale behind this was to get the audience familiar with the technology and how it works in the simplest way possible so everyone in the audience could follow along regardless of their knowledge on the topic. • No initial coin offering (ICO) or premine of any coins. • Completely self-funded and reliable. • Offers real world use case especially with the Phore Marketplace. • Upcoming point of sale (POS) retail integration through the UniFox partnership. 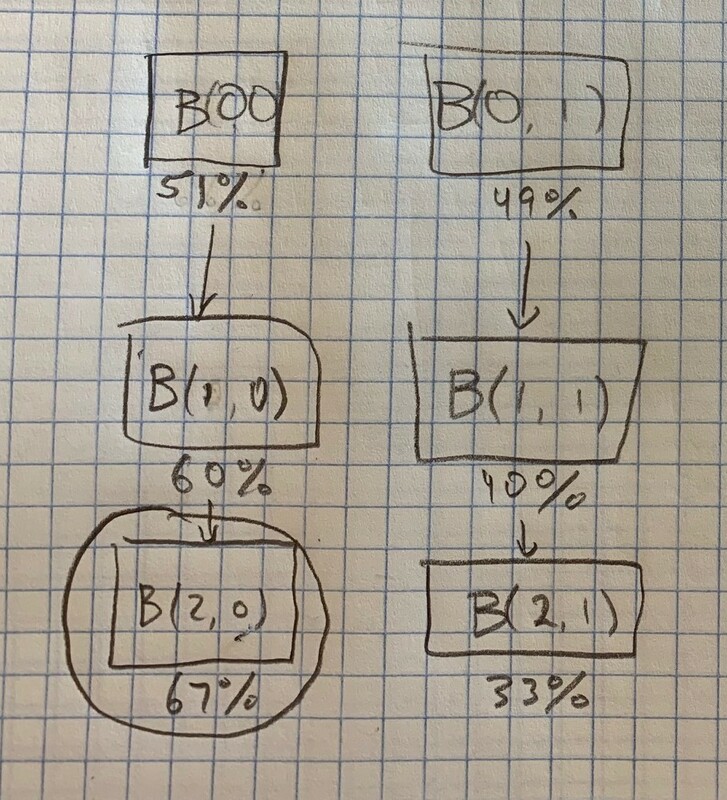 • First proof-of-stake coin with Masternodes to implement Segwit. • Flexibility with private or transparent transactions. • Offers B2B services for organizations interested in implementing blockchain technology. • Launching Decentralized Crowdfunding into the Phore Marketplace. Moving forward, he expanded on few of these points such as the UniFox partnership, Decentralized Crowdfunding, the Phore Marketplace, Phore Masternodes, Segwit and Synapse sharding technology to give members of the audience a more in- depth explanation. He wrapped up his presentation on how to buy Phore coins (PHR) from various supported exchanges and store in those exchanges or on a Phore desktop/mobile wallet. The second speaker on the agenda was Michael Ogunseye, the CEO of dashcart.com which is a mobile application that can be used to pay for various utilities using cryptocurrency. he spoke on his company and the application, how it works and possible future integration of Phore on the dashcart app. The last speaker on the agenda was the CEO of chopdomot.com which is an online food delivery service, he spoke on his company, services and future plans to implement cryptocurrency payment on his website and likely integration of Phore as well when that becomes fully operational by next year. After all speakers had delivered their various presentations a brief question and answer session was carried out. Afterwards, the group engaged in networking between the audience and speakers/organizing team. Then there were closing remarks delivered by the main speaker and the conference was brought to an end.